Samsung might follow Apple and Huawei to add 3D facial recognition starting next year. The South Korean smartphone maker’s plan to add 3D facial recognition similar to the one found on Apple iPhone X and Huawei Mate 20 Pro has been spotted in the Android Pie firmware that was released for the Galaxy S9 and Galaxy S9+ recently. A code found by XDA Developers in Samsung’s system app for biometric security suggests that the company will soon add a Time of Flight (ToF) sensor to its smartphone. This is inline with predictions from most industry analysts, who claimed during the launch of iPhone X, that 3D facial recognition will become a norm on Android smartphones in two years time. The current flagship devices from Samsung, the Galaxy S9 series and Galaxy Note 9, use iris sensor for facial recognition but the company might use ToF 3D sensor starting next year. The Time-of-Flight camera works by measuring the time it takes for a pulse of emitted light to be reflected back to the sensor. The data is then used to create a 3D map of an object, which could be the face of a user. 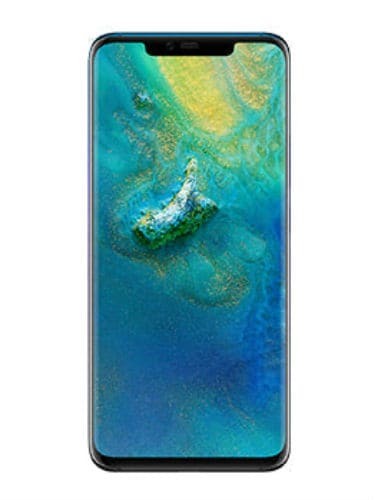 Apple’s newest iPhone models and Huawei Mate 20 Pro pair the ToF sensor with other components such as a flood illuminator for a 3D facial recognition. All of these components are hidden inside a notch but Samsung is likely to use in-screen cutout to place the sensor on its Galaxy S10 next year. Earlier, rumors indicated that Samsung is working to integrate the 3D sensing module into the front camera but now seems to have gone ahead with small cutouts called Infinity-O display design. The leaks so far show two holes drilled into the display, which could be for the front camera and ToF 3D sensor. This could be Samsung’s way to compete with Face ID found on Apple iPhone X, iPhone XR, iPhone XS and iPhone XS Max. Samsung’s current form of facial recognition has been found to be susceptible to hacks and can be fooled with a black and white photograph. With the new 3D ToF sensor, Samsung might succeed in integrating a facial recognition system that is more secure than one found on its existing flagship devices. Samsung is expected to debut the Galaxy A10 with in-display fingerprint sensor, and the Galaxy S10 is also expected to feature Qualcomm’s ultrasonic in-display sensor for biometric authentication. Samsung is reportedly planning multiple variants of Galaxy S10 and Galaxy S10+ next year and the flagship model is expected to feature a total of six cameras and support 5G mobile connectivity.